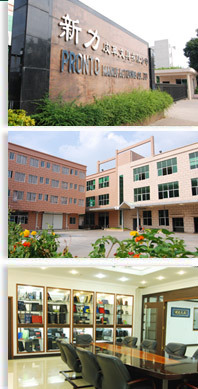 Shunde Pronto Manufacturing Co., Ltd, a member of Hollco International (Holidays) Ltd is a one of Asia’s leading manufacturers of business gifts and document portfolios for the promotional market. With more than 36 years of manufacturing experience, Pronto Manufacturing has a reputation of expertise supplying the leading European and American companies specializing in corporate gifts. 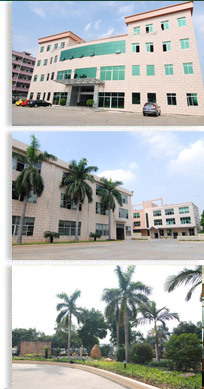 Situated in the Guangdong Province of China, just 2.5 hours from Hong Kong, the recently constructed 10,000 square meter factory has 500 employees dedicated to the manufacture of CD holders, document cases, cardholders, photo albums, conference folders, organizers, portfolios and related business gifts. The proximity of the factory to local material suppliers, together with the volume purchasing of materials allows Shunde Pronto to achieve economies of scale in production and lower overall prices. A wide range of materials is on hand, from 70D Nylon to 2400 Polyester, PVC and PU based materials, cotton, canvas and leather. An experienced in-house printing department for silk-screen printing, full color process printing, embossing and hot stamping of custom designed or corporate logos ensures that production and delivery time are kept to a minimum. Pronto Manufacturing with ISO9001: 2000 certificated programme and great care, quality assurance and individual attention to each customer's orders are the hallmarks of Pronto's manufacturing.